With over 130,000 new posts shared every week, LinkedIn is a premier social media marketing platform for savvy entrepreneurs and business owners. LinkedIn’s demographics weigh heavily on the side of high-earning professionals, and over 50% of B2B buyers use LinkedIn when making a purchasing decision. This social media giant is a lead generating magnet. My clients are busy professionals who want to focus on what they do best, and not waste time on the rest. 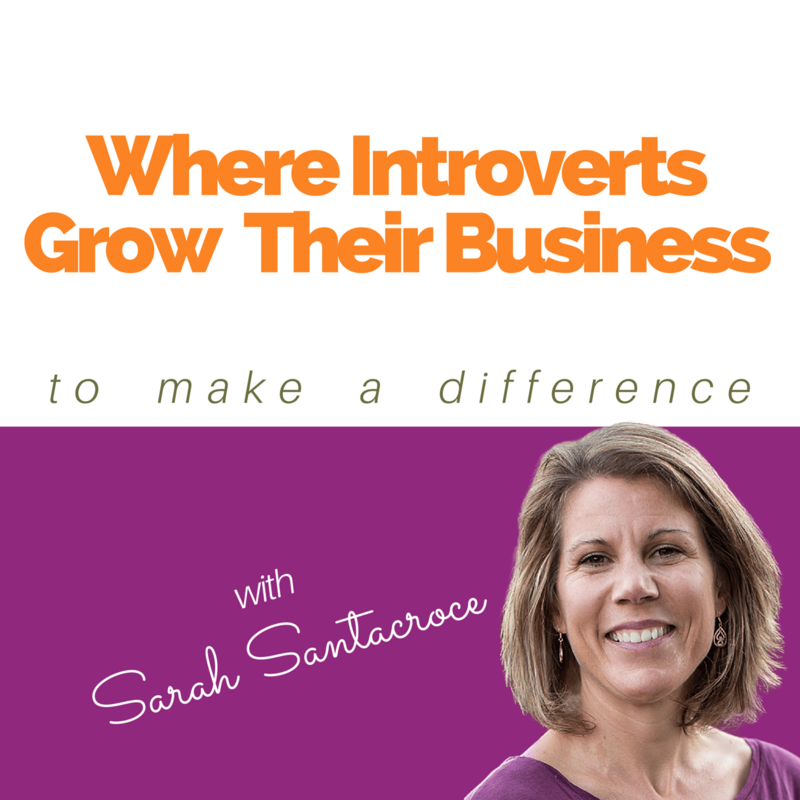 So they often ask: Sarah, how can I take advantage of LinkedIn’s wealth of potential customers without losing precious time on my projects, business, and family? While I believe that real relationships are only built if you take the time to engage personally, there are some tasks that can be delegated. 1. First, update your profile and get it optimized as a client magnet! Your profile is the first thing a potential lead will see. Make sure it shows them exactly what you and your business can do for them. I often refer to it as a mini-website that drives traffic to your maxi-website. And it’s about as much work as a website 😉 So if you don’t have time to do it yourself, hire someone to do it for you. 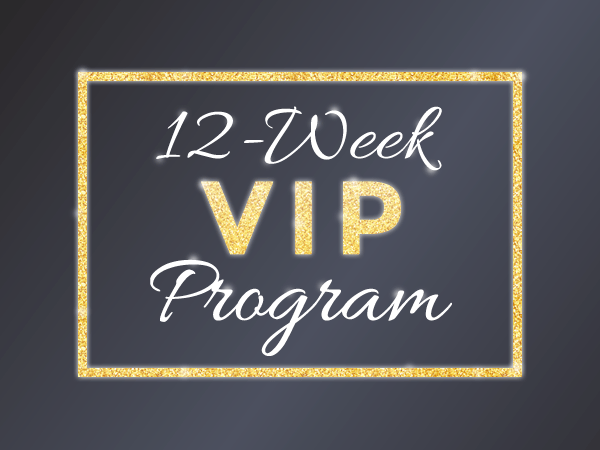 You can look at my ‘Done with You‘ or my ‘Done for You‘ packages. 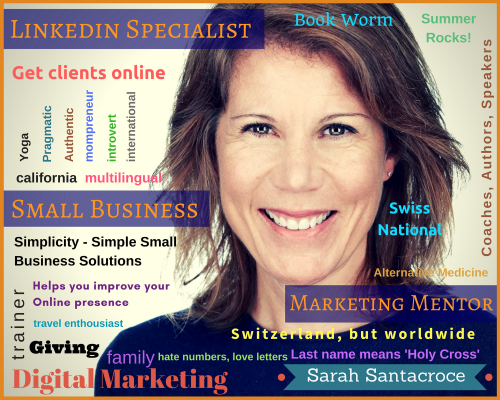 Or maybe you have a Virtual Assistant who’s good with words and with the help of my LinkedIn Profile Quick Fix video course you can get your profile up to speed. 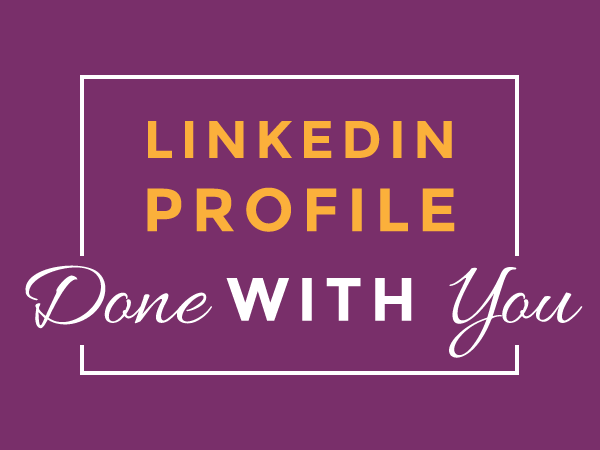 If you have defined your connection strategy on LinkedIn it’s relatively easy to put together a document for your Virtual Assistant explaining who you want to accept in your network and who you don’t. She can do this on a weekly basis for example. A welcome message is a way to build trust with your contacts. Draft a few different welcome messages depending on the profile and then your VA can send those out after accepting the new connection. Important: if the person replies, it’s your job then to engage in a conversation. Don’t let your VA do that part. LinkedIn Profiles with recommendations get up to 7x more views. And, if you claim to be an expert but have no recommendations, what kind of an expert are you really? 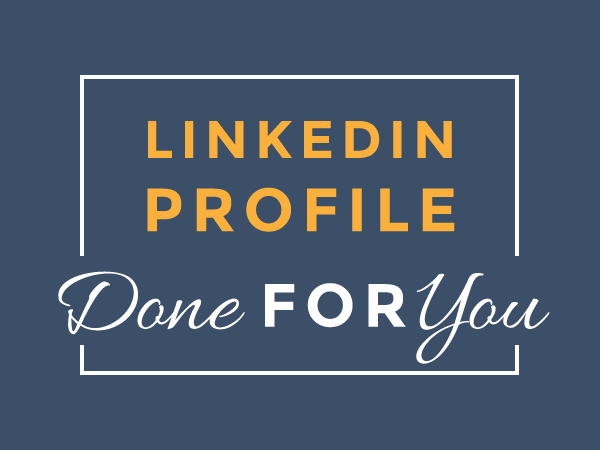 Come up with a list of the people you would like to ask for a recommendation, tell them over the phone, in person or via email that you’re updating your profile and then ask your VA to send a customized recommendation request to those people on LinkedIn (you draft the message). Need help getting a quality recommendation? Read this post. 94% of B2B marketers use LinkedIn to distribute content, and content consumption on the platform has increased over 20% in the last two years. Engaging, well-written copy from a professional writer will elevate you in the eyes of your audience, turning you into a qualified expert. With the right professional voice, you can build your reputation without having to actually write the material. At least not from scratch. I always tell my clients to rework the copy they get from the copywriter in order to infuse their own style & voice, add their examples etc. Just because you’re delegating some tasks doesn’t mean you can just be totally hands-off and expect to see great results. Beneficial-business relationships need to be nurtured with your time, attention, expertise, and unique personality. People can tell if it’s not you running the show. But, hopefully you’ll free up some time by delegating the above tasks to nurture relationships either in business or with your friends and family.